Tell a Friend about the CHSA! Imagine a world where the Pittsburgh Pirates, Cincinnati Reds, Cleveland Indians, Minnesota Twins, Milwaukee Brewers, Detroit Tigers, and the Chicago Cubs and White Sox were all your “hometown” team. Such would be the case today if Augusta County—which at one time covered all the territory where these major cities now exist—was not chopped up in the latter part of the 18th century to create new counties and states in our ever-growing country. For more than 100 years after its founding, Virginia was a colony divided. This division was not based on politics, ethnicity, or even religion… it was, instead, a geographic division. The Blue Ridge Mountains, which run northeast to southwest, created a natural barrier to the westward movement of the colonists. To the east of the Blue Ridge was civilization: Williamsburg, Hampton Roads, Richmond. To the west: a wild, untamed frontier. Although Interstate 64 today provides a quick and easy route for travelers to journey back and forth between the two parts of the state, in the 17th and early 18th centuries the “great mountains” provided a daunting, impassable barrier. It wasn’t until the 1720s and 1730s that pioneers began filtering into the Shenandoah Valley beyond the Blue Ridge Mountains from a completely different route, the northeast opening of the valley. These settlers led directly to the creation of a new county west of the mountains: Augusta County, named for Princess Augusta, wife of Frederick, the Prince of Wales, and mother of King George III. The first white settler in this area was John Lewis, an Irish stonemason described as tall and muscular, who fled Northern Ireland and came to America after killing an “oppressive landlord.” He settled about a mile northeast of “the twin mountains” of Betsy Bell and Mary Gray (named after two similar hills in County Tyrone, Ireland) in the summer of 1732, and built a home there that he called Bellefonte. Some mystery surrounds Lewis’s life story. It is generally accepted that this descendent of French Huguenots killed his landlord, Sir Mungo, and a steward when a group led by the landlord tried to evict the fifty-year-old Lewis and his family from their rented home around 1729. After someone fired a musket into the cottage—killing John’s invalid brother (some accounts call him Charles, others say Edward) and wounding his wife, Margaret—Lewis ran out of the house in a rage and, using his only weapon, a shillelagh, he crushed the skulls of Sir Mungo and his steward. Disguised in a friend’s clothing, Lewis ran… and here the mystery begins. Some accounts say he took refuge in a house on the Boyne, then caught a ship heading to the American colonies. Others say he fled first to Portugal, where he stayed several years before sailing to Pennsylvania. No explanation is made of why he would flee to the Iberian Peninsula, nor is mention made of the possibility that he took flight on a ship owned by James Patton, the first cousin once removed of Lewis’s wife, Margaret. Either way, he apparently was separated from his wife and children for about three years before they joined him in America. After spending some time in Philadelphia, then Lancaster, John Lewis and family made the move up the Shenandoah Valley, and settling first on the Middle River, according to some accounts, before building Bellefonte near what became known as Lewis Creek. 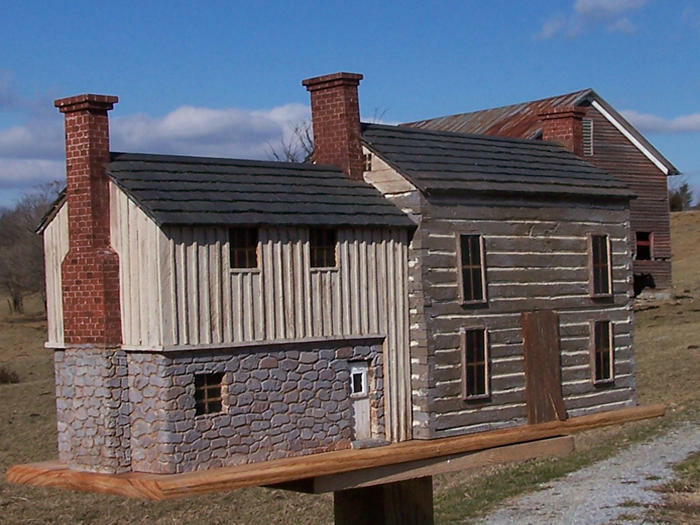 Most historians believe that a small stone structure was the original house, with the two-story log home and a second story above the stone home being constructed at a later date. He owned 2,071 acres of land. Once here, John Lewis made his mark on the area. His home became the social center for new settlers in the area. It was at Bellefonte that the first sermon in what is now Augusta County was preached. The Rev. James Anderson of the Presbyterian Synod of Philadelphia met with a number of believers at the Lewis home in 1738. Two years later, the Tinkling Spring congregation—one of the “Triple Forks of the Shenandoah”—was officially organized... Lewis was one of the founding members. A replica of this meeting house stands alongside Interstate 64 in Fishersville. As is often the case with history, details are hazy and the surviving records can leave much to be desired. Some accounts say that Margaret Lynn Lewis sailed the Atlantic Ocean with three young sons: Andrew, Thomas, and William. Others say it was Samuel, Thomas, and Andrew. The children born to the Lewises in America are also up for debate. They include, according to various accounts, Charles (who died at Point Pleasant), Margaret, Anne, and Alice. Many of John and Margaret’s children had exciting experiences on the frontier of the Shenandoah Valley and beyond, but those stories will have to wait for another day. John Lewis surveyed the town of Staunton for William Beverley in 1748, and that trade carried him far afield. As the head of the Greenbrier Company he obtained permission in 1751 to survey 100,000 acres of land in the Greenbrier region of Virginia. He also served as “the leader of the community until 1745,” and “head of the court” until his death in 1762, according to J. Lewis Peyton, as well as Colonel of the county militia and justice of the peace. Even with this fault, John Lewis was without a doubt an extraordinary man perfectly suited for the extraordinary times of the 1730s through 1760s. He oversaw the progress of this area from a frontier to a bustling community that was on the forefront of what would, a decade later, become the movement that birthed the United States of America. 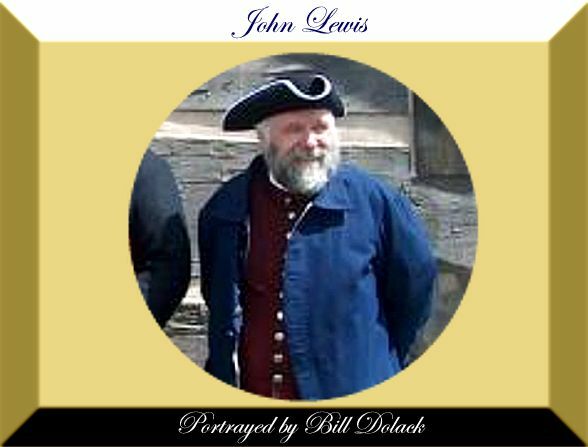 John Lewis died at the age of 84 in 1762, and was buried atop a hill near Bellefonte.